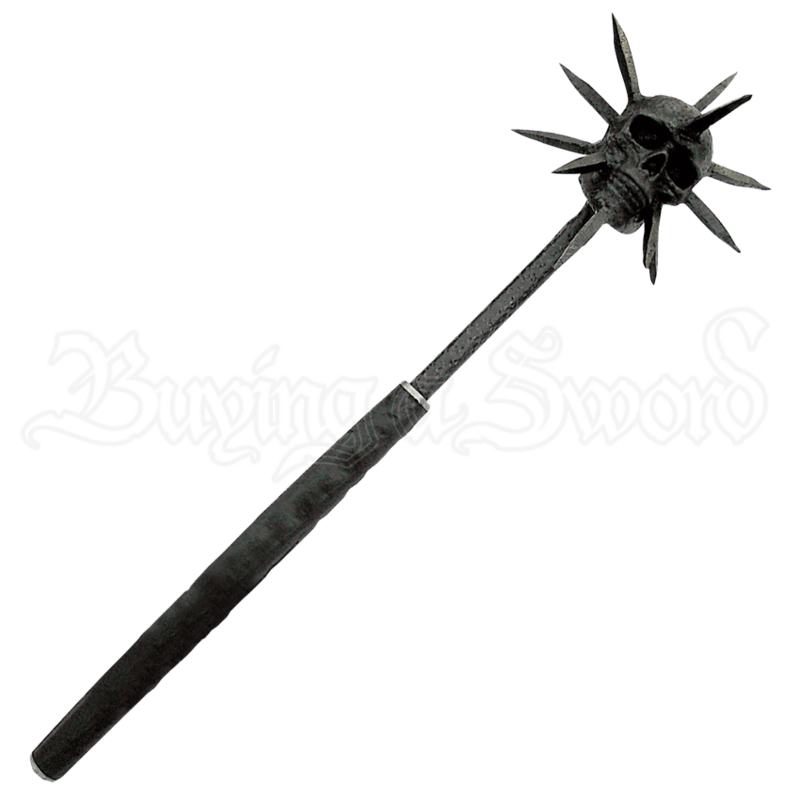 You must have this incredible medieval skull mace. 2.5 inch long steel spikes rest atop a blackened steel skull attached to a hand pounded heavy blackened steel rod which goes into the blackened hand carved wood handle. 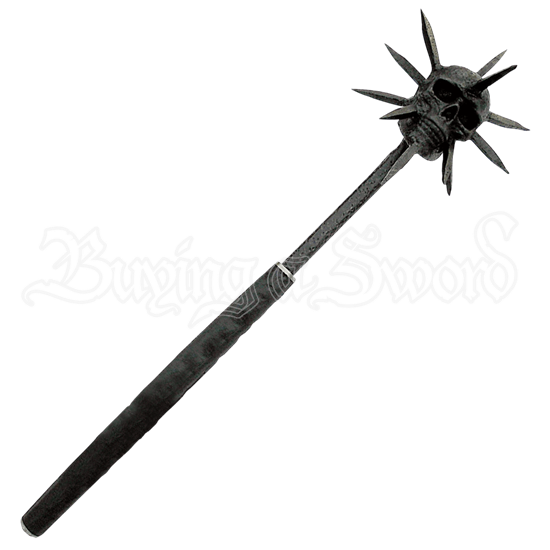 This is the toughest, scariest mace you will ever come across, period. It is also an incredible medieval weapon.